All accepted papers (lectures and posters) at AES 2019 will be published in the conference Proceedings (extended version, if submitted before the deadline, or abstract). The Proceedings will have an ISBN number. 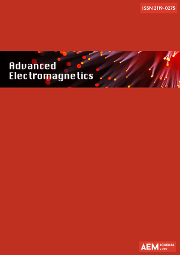 EPJ AP (EDP SCIENCES - SPRINGER) is an international journal devoted to the promotion of the recent progresses in all fields of applied physics. 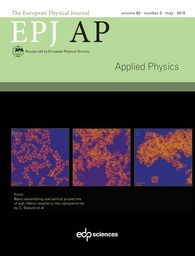 The articles published in EPJ AP span the whole spectrum of applied physics research. All papers will be handled and reviewed according to the journal's quality standards. All manuscripts will be subject to the usual selection process including the peer review procedure.